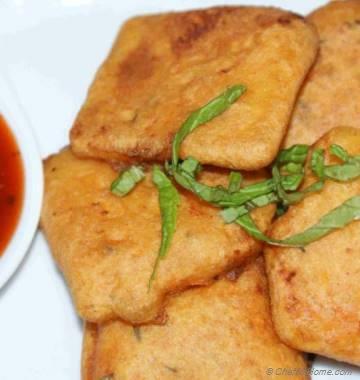 This Chickpea flour snack is very very light, healthy and gluten free breakfast snack. 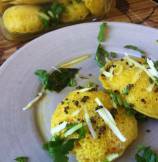 Traditional Dhokla is made with fermented chickpea flour, but for its quick version, now-a-days fruit salt is added for instant sour and airy texture. I have used Eno (Fruit Salt) for this recipe. You can buy fruit salts from baking isle of your grocery stores. 1. 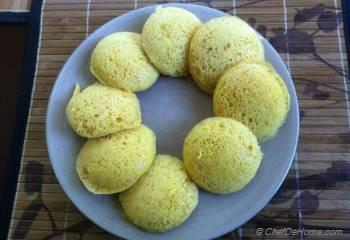 Mix chickpea flour with 4 tbsp. water and 1/8 tsp salt. 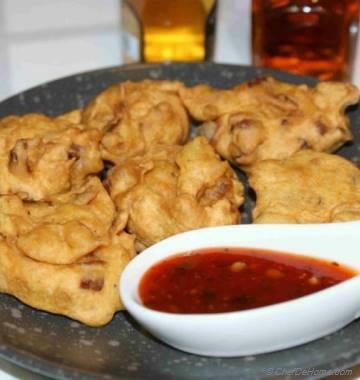 Make pancake like batter and set aside for 10 minutes. 2. 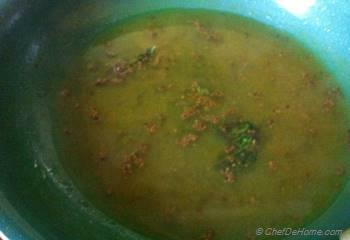 In meantime, heat oil in a pan, add mustard seeds and wait till they start sputtering. Add turmeric, curry leaf and fry for 30 seconds. Now add 1 cup water, salt, sugar and lemon juice. Bring to boil and then switch off the heat. Let this mixture completely cool down. 3. Grease mold that can fit in your steamer,( I am using idili molds). Add 1 tbsp. of Fruit Salt to chickpea batter. Mix well. Batter will become very airy due to Baking Soda in fruit salt. Add 1 heaping tbsp. in all molds or if using single large mold then transfer all contents into the mold. Place mold carefully in steamer pot and steam for 7 minutes. 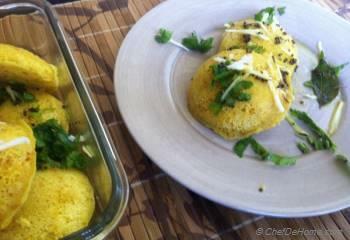 If using microwave steamer, that takes 4 minutes to steam Dhokla. 4. 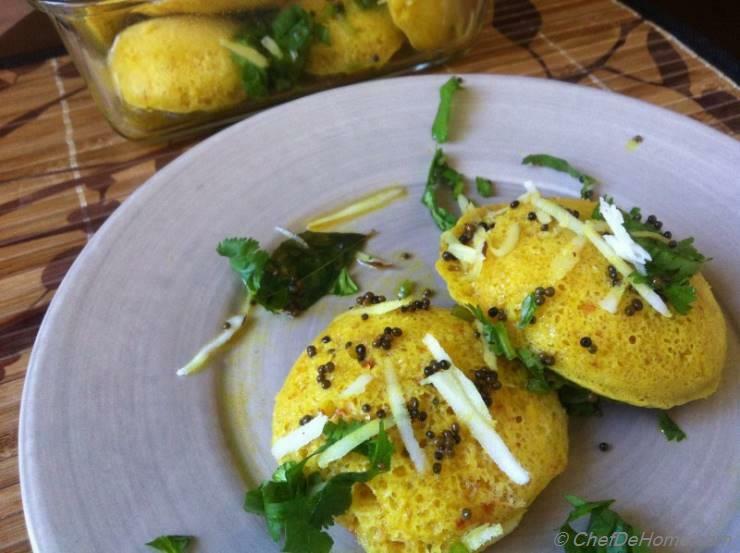 Transfer steamed Dhokla to a deep dish, pour water mixture over dhokla and let it soak for 3 minutes. 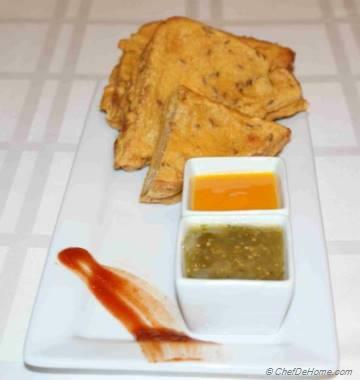 Garnish with cilantro and grated coconut and serve at room temperature.